This Testing is now CLOSED ... THANK YOU !!!! I'm currently looking for people who are interesting in testing my "No-Name Top" (#21012) sewing pattern before making it available for purchase. IMPORTANT: I *need* the reviews back by March 28th!! 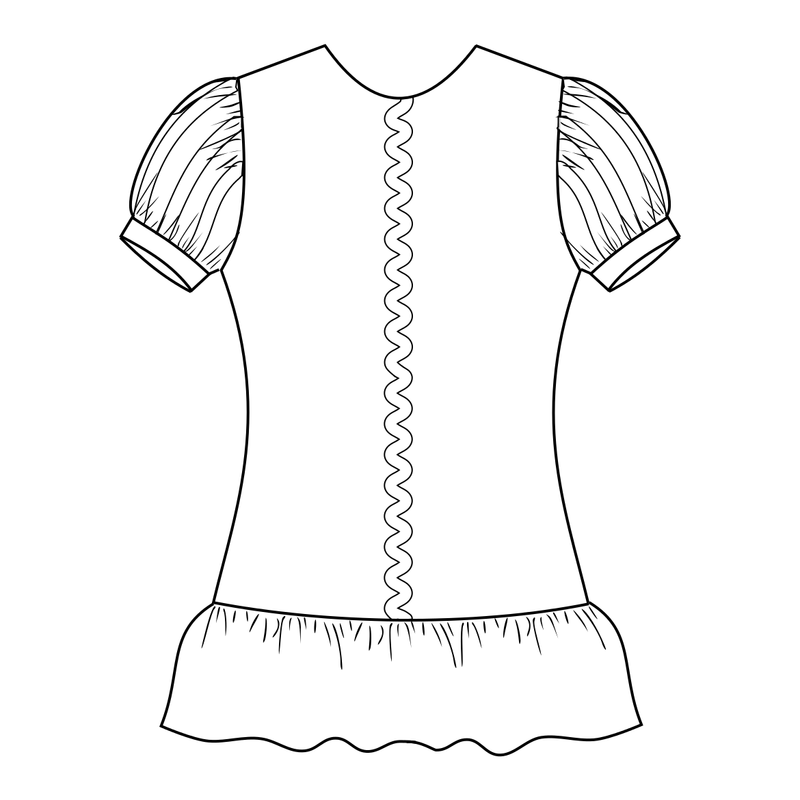 Description: Hip-length top can be made with the tunic length ruffle (below), or without (above). 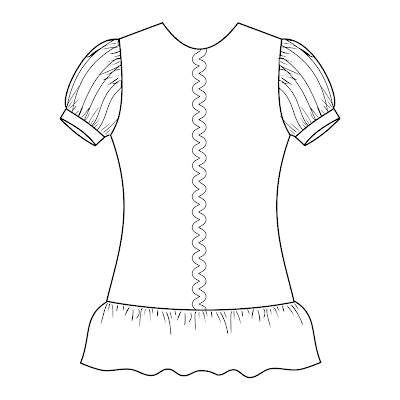 It features a fully lined bodice, jewel neckline and short puffy sleeves. The back features a shirred panel for a beautiful fit and easy on/off. This is a pattern for *woven* fabrics (ex: quilting cottons), not knits. 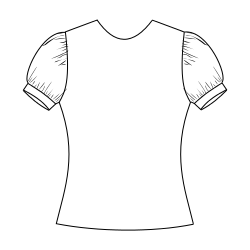 ~ You leave your email in a comment and what size you would like to test. ~ In the SAME comment, please link to a picture (on a blog or on fb) where I can see samples or your sewing/photography. Photography plays a BIG part on who tests for me. **You MUST know how to shirr! PLEASE read the PATTERN TESTING GUIDELINES!!! **I reserve the right to choose whomever I wish to test. It will not be based on a first-come first-serve basis. If you've tested before and did not return the results you are NOT eligible.... and you must have purchased pattern from Jocole before (yes I do check). I have a good camera I can use for pictures. Would love to test a sz 12. Have a model, photographer and can sew it up quickly. Here is my fbook http://www.facebook.com/SpicedGingerDesigns. Email is stiejones@mchsi.com. Thanks! I would like to test a size 7 or 8. Here's a photo of a dress I did a while back. Hubby has a new camera and takes VERY good photos now. Tons better than mine. I forgot to add, that I live down in New Zealand so can also check your patterns print out correctly on A4 paper. Ohh finally!! I can shirr this baby up in size 10! CRAFTIVISION: Your source for craft projects and inspiration! Serving new ideas daily!